There are many aspects of building construction that encompass eco friendly architecture: there is design that tries to create an edifice in harmony with its surroundings. Then there is the use of eco friendly building materials and the attempt to make sure that occupying or living in that construction will minimize its environmental impact as well. There is the charge that eco friendly architecture is more expensive than conventional forms of construction but this problem is offset by the many benefits of this kind of architecture. When the building that you are going to be using extensively or living in, is in harmony with its surroundings: the natural features and resources around it, it is aesthetically pleasing and not incongruous. Connected to maintaining the aesthetics of the building is the facet of conservation: clever designs to incorporate natural features such as rock outcrop, trees or a natural undulation of the building site can mean less resources expended for modifications, conservation of existing features and a building that looks to be in harmony with its surroundings. When you live somewhere, you put pressure on resources such as electricity and you generate waste in terms of garbage, cleaning, bathing, using the loo, etc. Using eco friendly architecture can help reduce this impact. 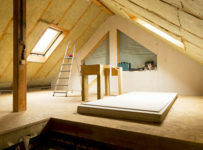 Better insulation can mean less heating and cooling costs, and natural light sources can also reduce electricity consumption by reducing reliance on artificial light. Using eco friendly plumbing and other energy saving appliances can also reduce water and other resources consumed. Waste water management, rain water harvesting and other features can be incorporated into the architectural design to make a building more environmentally friendly to use and live in. For instance using packed gravel or more easily permeable surfaces around a home makes it easier for rain water to penetrate into the earth to replenish the water table. Though eco friendly architecture is often criticised for being more expensive than mainstream construction methods, the higher initial outlay has a future pay-off. 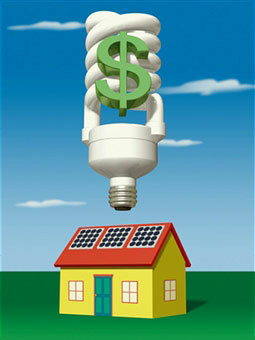 The more energy efficient systems, built into the design, mean savings in terms of energy bills. Better productivity can be another benefit of functioning in a better designed edifice. Energy certified or LEED buildings fetch higher rents and prove to be better investments.